The gifting of arms was of immense relief to the LTTE which had by then “taken a heavy beating from the IPKF,” he adds. COLOMBO: The clandestine arming of the Liberation Tigers of Tamil Eelam (LTTE) by the Premadasa government in Sri Lanka in the late 1980s to get rid of the “common enemy” – the Indian Peace Keeping Force (IPKF) - was “one of the most unfavorable and dangerous steps ever taken by any government in Sri Lanka,” says Maj.Gen.Kamal Gunaratne in his book “Road To Nandikadal”. The whole operation was an “abhorrence” to Sri Lankan army officers who were tasked to hand over brand new weapons to the LTTE, says Gen. Gunaratne whose 53 Division finally killed the LTTE chief, Velupillai Prabhakaran, in May 2009. “When truck loads of weapons and ammunition were handed over to the LTTE inside jungles, we felt we were digging our own graves but carried out order nevertheless. Fortunately and thankfully, I was not part of this unholy transaction,” he says. And indeed, the now well armed LTTE, did become arrogant almost immediately. The weapons give by Premadasa enabled the LTTE to strike at the IPKF “with renewed vigor and more effectively increasing the death toll and the casualty count of the IPKF.” It impacted the government of India “severely,” leading to the withdrawal of the IPKF in March 1990. Gopalaswamy Mahaththaya, the Deputy Leader of the LTTE, who was heading the team talking to President Premadasa, acted the true politician, always in a white dhoti and sporting a broad smile. While the army knew that this was a façade, President Premadasa was completely taken in. “Mahaththaya is a real gentleman, Premadasa would say. We all know that Premadasa trusted Mahaththaya one hundred percent,” Gen.Gunaratne says. As expected, Eelam War II broke out immediately after the IPKF left the island in March 1990. About the IPKF, Gen.Gunaratne says that the reason why they suffered heavy casualties (1500 dead and 3000 wounded) between October 1987 and March 1990, was that its officers were fighting a conventional war against a guerilla group. They “thoroughly underestimated the capability of the LTTE,” unlike the Sri Lankan army which never did that. For example, it was the World War II vintage thinking which led to the use of parachuting troops against the LTTE in the Jaffna University campus where Prabhakaran was holed up. The parachutists could easily be picked up by LTTE snipers as it was a full moon night. The LTTE was fully prepared for the airborne assault and Prabhakaran had quit the campus because his men had snooped into the IPKF’s unsecured radio communications .The IPKF was using the same frequency it was using during its honeymoon with the LTTE. However, while being sorry for the slaughtered Indian commandos, the Sri Lankan army was happy with the fighting taking place between the LTTE and the IPKF. “It was a source of comfort for many of us. I should admit that seeing the LTTE terrorists dying at the hands of the IPKF brought me immense happiness. And on the other hand, IPKF members dying at the hands of the LTTE also made me happy to a certain extent. Some readers would find this to be unacceptable, coming from a senior military officer. 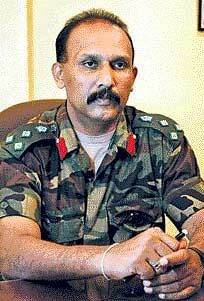 However, when I think of the way India supported the Tamil terrorists, breeding and training them, the manner in which India applied pressure on the government of Sri Lanka and the low treatment that was meted out to the members of the Sri Lankan forces by uneducated Jawans on our soil, I think I should have been happier than I was,” Gen.Gunaratne writes. 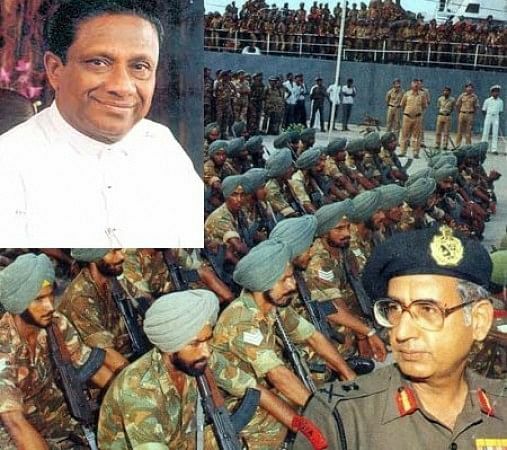 Relations between the Sri Lankan army and the IPKF become worse after President Premadasa ordered the IPKF out in 1989 and the IPKF would not leave. The IPKF became arrogant in its dealings with the Sri Lankan army. One of the officers pointed out to Gen.Gunaratne that despite the high casualties suffered by the IPKF, India had not thought it fit to build a memorial for it on its soil ,while Sri Lanka had built one adjacent to its own war memorial in Colombo courtesy the then President Mahinda Rajapaksa.